That’s how many smokers there are in Britain, according to the Office for National Statistics. We don’t know exactly how many of those people want to quit, but if you’re one of them, we want to help you. 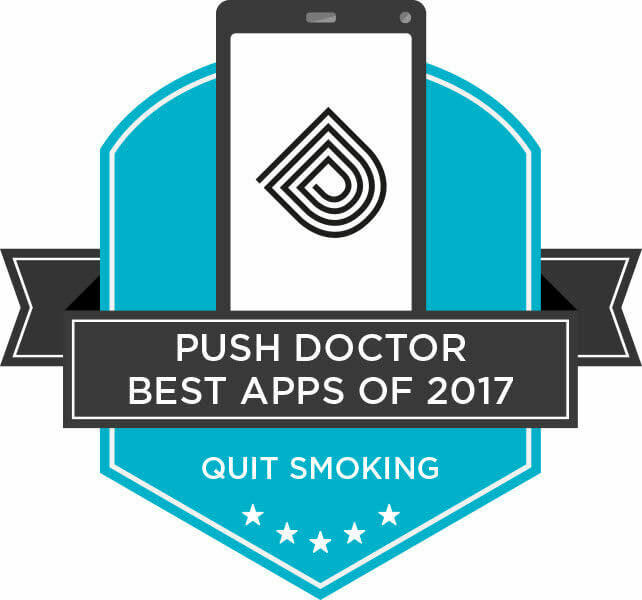 That’s why we’ve searched for the best apps to help you give up smoking. Each one offers a unique approach to quitting - you just need to find out what works best for you! One of the most obvious signs you’re giving up smoking is that you become tense and irritable. Habit tells you that the only way to treat these symptoms is with another cigarette. Unsmok’d provides you with an alternative. Rather than reach for your lighter, you can take your frustrations out on Smoky, the cute little character described as “the embodiment of your inner temptation”. Simply mash your thumb repeatedly into your screen, inflicting damage on poor Smoky to distract yourself from the urge to light up. You’ll even be rewarded with a funny video! Do this for enough days and you’ll unlock badges and trophies, which we assume are for not smoking, rather than beating up Smoky. While not specifically related to smoking, Quit That! is intended to help with any habit you’re keen to get rid of. Whether it’s cigarettes, unhealthy food, sugary drinks or alcohol, you can keep everything in one place and see exactly how well you’re doing. You can share your success with your friends, or keep it to yourself. It’s up to you! 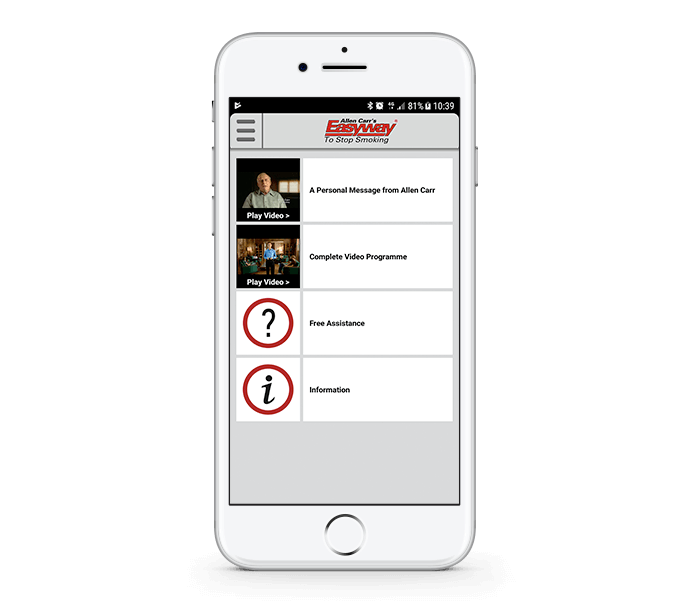 It might not have the catchiest name, but Dr David Crane’s app has loads of useful features that provide a clear picture of your progress. 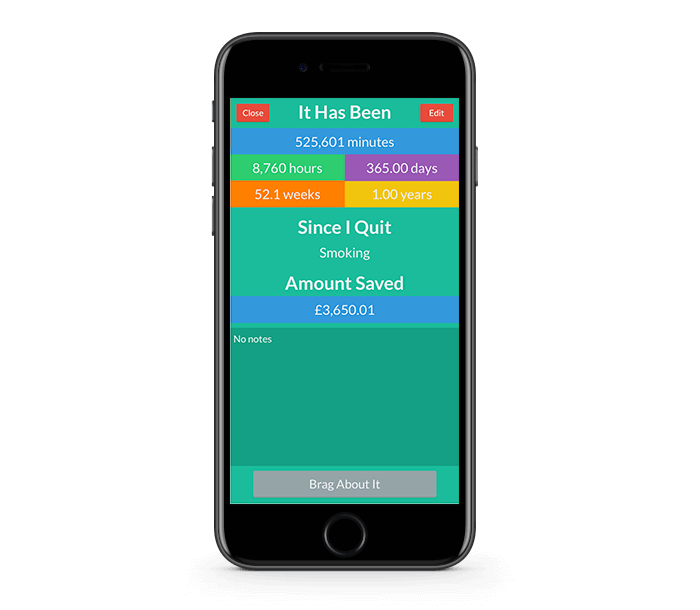 Any app can tell you how long you’ve been smoke-free, but this one calculates how many Earth minutes you’ve clawed back as a result. There’s a calculator to show you how much money you’ve saved and a graph showing how your cravings have shrunk over time. You can even choose to be part of Dr Crane’s experiment, which tests whether certain approaches are more likely to lead to someone successfully stopping smoking. 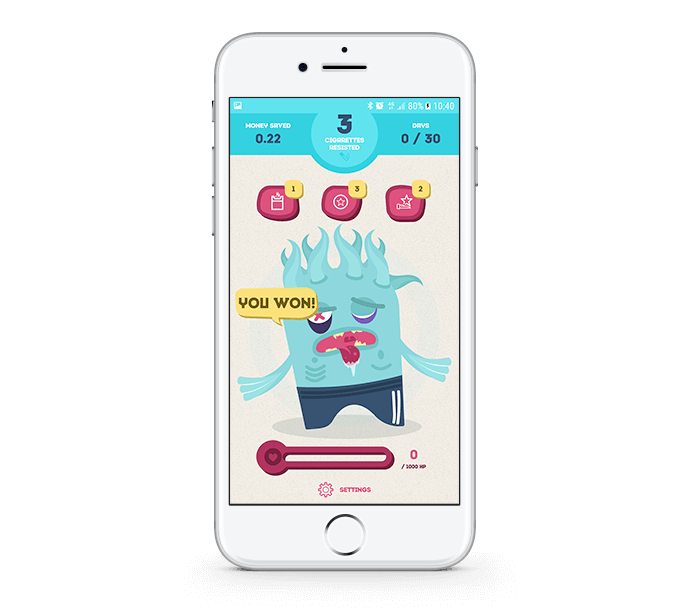 Kwit relies heavily on letting you unlock rewards and achievements to inspire your smoke-free journey. There are 84 achievements to unlock, each one earned by shunning those cigarettes for as long as you can. If you’re having a bad day, shaking your phone brings up one of 200 motivational cards that will inspire you to stay on the right track. 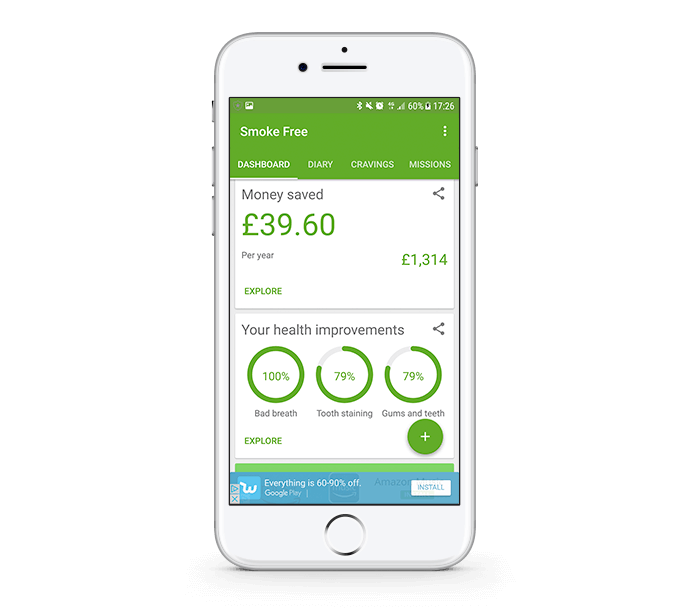 Once it’s calculated that you’ve saved a certain amount of money through not smoking, Kwit will even remind you to buy yourself a treat as a reward. Isn’t that nice? If you’re not quite ready to quit cold turkey, AshTray will help you give up cigarettes gradually. 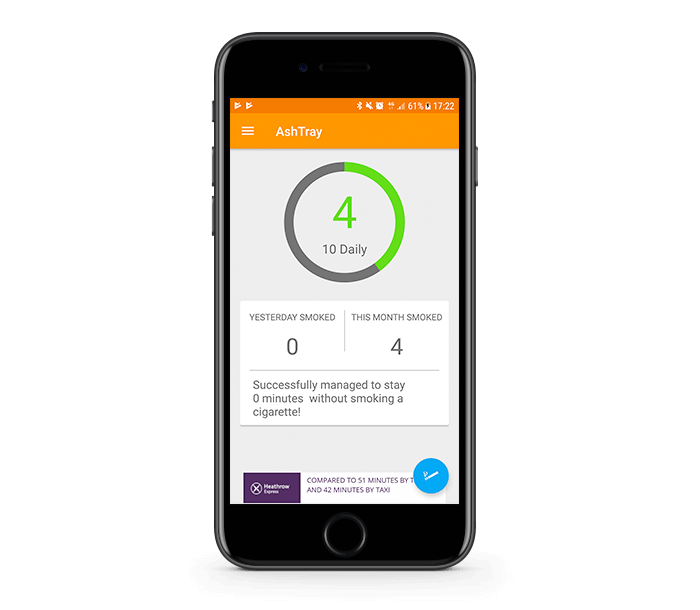 You can set a daily cigarette limit and track your use throughout the day, as well as charting the amount of time since your last cigarette. All you have to do is slowly decrease your daily limit and increase your time between smokes. Graphs last up to 30 days, so you can track your progress over an extended period. 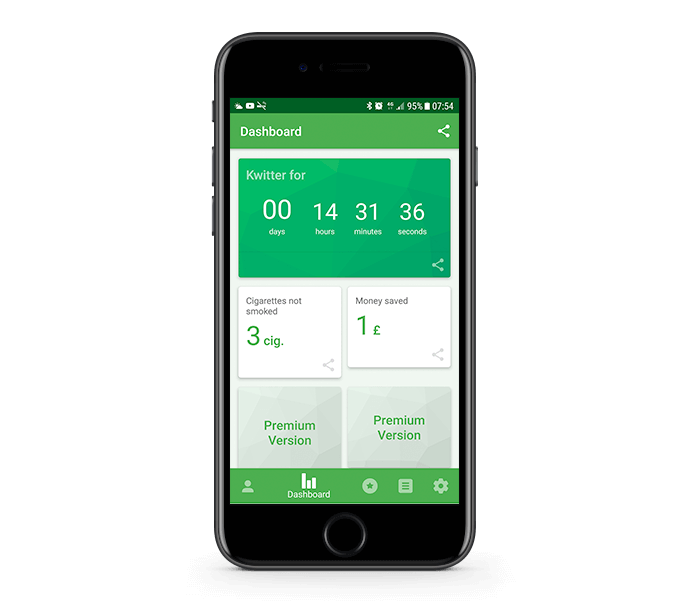 Based on the teachings of popular author Allen Carr, this app boldly claims to be able to remove your desire to smoke in just one hour. This is done through a series of instructional videos, the first four of which are available for free. In-app purchases start from £2.99. If you need a few celebrity endorsements to convince you, Allen Carr’s Easyway Method has picked up plenty down the years. Ashton Kutcher, Richard Branson, Ellen DeGeneres and Sir Anthony Hopkins are just some of the famous faces to have credited Carr with their new smoke-free lifestyle. Our doctors can discuss smoking related symptoms and suggest the best way to look after your health. Receive medical advice, same-day prescriptions, referrals and fit notes.